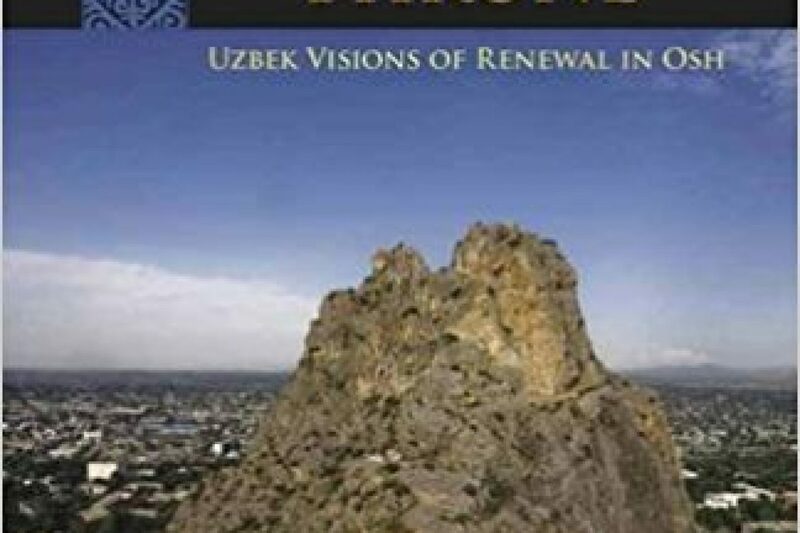 In its 2014 inaugural issue, Central Asian Affairs featured a roundtable discussion of Morgan Y. Liu’s Under Solomon’s Throne: Uzbek Visions of Renewal in Osh. Respondents included Adrienne L. Edgar from UC Santa Barbara, Judith Beyer from the Max Planck Institute for Social Anthropology, and Alisher Khamidov from Newcastle University in the UK, as well as author Morgan Y. Liu, Associate Professor in Anthropology and Near Eastern Languages and Cultures at The Ohio State University. 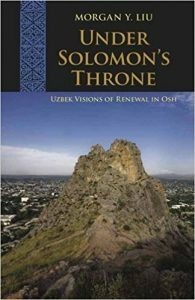 Under Solomon’s Throne won the Central Eurasian Studies Society’s Book Award in Social Sciences in 2014. Liu’s work, based on ethnographic research undertaken from 1993 to 2011, explores how ethnic Uzbeks in the city of Osh, Kyrgyzstan understand political authority and political belonging amid post-Soviet transformations. Adrienne L. Edgar explains that Liu blends anthropology and history, grounding Osh residents in the policies of Soviet national delimitation in 1924–25. Liu writes, “Multiple pasts are always somehow present in how people understand their current situations, imagine their possibilities, and make claims for their futures” (p. 17). Liu’s work stretches questions and answers concerning recurrent themes in Central Eurasian studies, such as ethnicity, identity, citizenship, belonging, community, and nationality. As Beyer writes, “It encourages us to rethink sociological categories … thereby contributing to broader debates in the social sciences, and to topics that are and will remain crucial in order to understand post-Soviet Central Asia.” One topic that remains crucial in post-Soviet Central Asia, and in Eurasia more broadly, is that of diaspora. Here Liu’s book provides critical insight into how ethnic minorities within the post-Soviet nation-state often view themselves. Alisher Khamidov notes, “The book makes it clear that the Uzbeks do not see themselves as a minority or members of a diaspora as such (in some areas of South Kyrgyzstan, they make up a majority of the population)” (p. 11).